2. Diese Wegpunkte in ein Makro schreiben und benutzen. Obwohl ich es nochmal sortiert habe, ist es am besten von einem Gebiet erst alle wegpunkte hinzufügen damit ihr keine umwege fliegt. Als Bodenmount leider nicht mehr brauchbar. Da sieht man nix mehr! Da die Texte zu lange sind und deshalb Punkte für manche Gebiete auf zwei Makros aufgeteilt sind, habe ich die Texte gekürzt. Ich bin so besser zurechtgekommen. Dennoch vielen Dank an Leilameda! I'm so happy on this day, My prays... finally got answered. A FRIKING flying cloud, how awesome is that? By changes does this mean the mount you receive varies upon which skill/area you're in or does it actually change form as you fly through different regions? 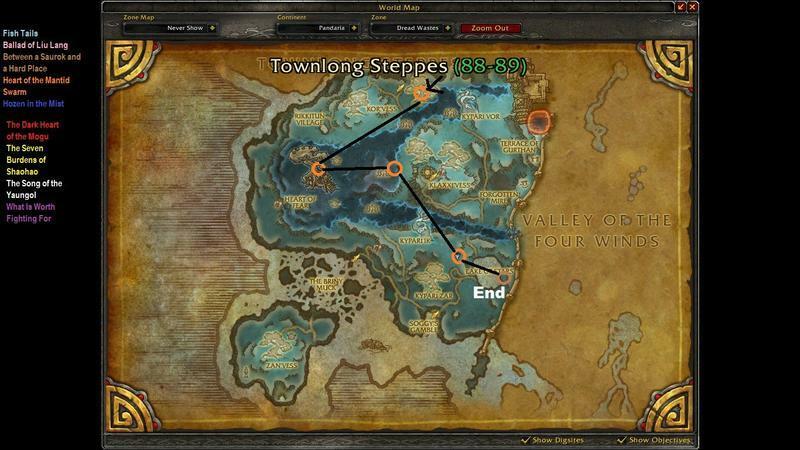 Perhaps its simply the difference between flying and non flying zones and your lvl since they restricted flying in MoP. Either way this mount sounds amazing! Can't wait to see one! Sold by the Lorewarkers quartermaster Tan Shin Tiao in the Seat of Knowledge above Mogu'shan palace. Requires exalted reputation to purchase. Costs 540g after the guild discounts. First thing came to my mind. This (these?) mounts will look like the discs linked at this news page a while pack. These... Are UFO's. Just saw a modelviewer of them. *Drools*. We know it's going to be fast...because it's the red one. No word on if the flying cloud drops Spinies, however. FINALLY we get those Hover Disks from the Malygos encounter! Requires Exalted with the Lorewalkers, they are the archaeology fanatics of pandaria. 600g with no discounts. 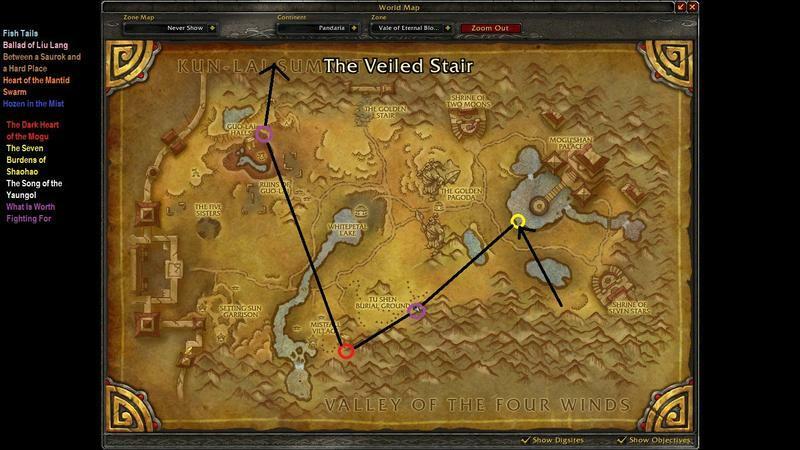 It can be found in vale of eternal blossoms on the top of Mogu'Shan Palace. Turning in Pandarian archaeology finds is the way to raise reputation with them. Just spotted there's a movie with a planned release in 2013 about this called "The Monkey King" with Chow Yun-Fat and Donnie Yen, should be interesting. Archaeology does NOT give Lorewalkers reputation. Upon completion of one Achievement you get a Mail with a Quest Item that also rewards reputation with Lorewalkers. Die Ballade von Liu Lang each Achievement will give you one of these, same name as the Achievement. 8 Achievements will get you to Exalted. For us older gamers... this has Monkey Magic's riding cloud written all over it! Born from an egg on a mountaintop! Am I the only one disappointed by the fact that there is actually a disc? What would be wrong with us just standing on a cloud? Hey! That`s remind me Flying Disk of Tzeentch! All is Dust! 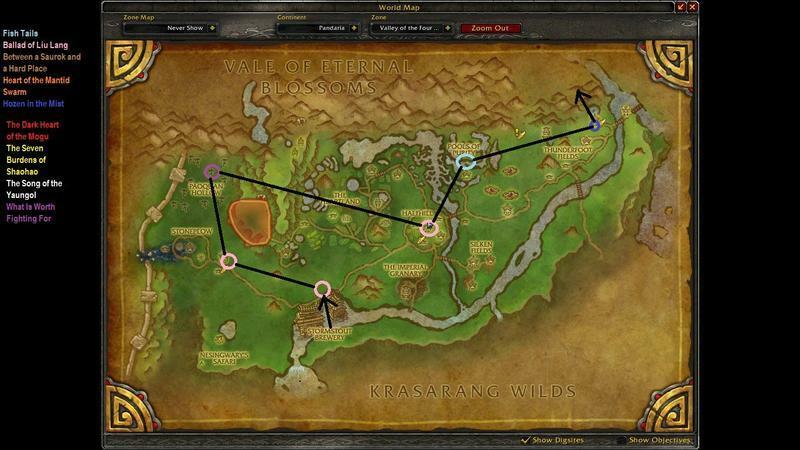 The guide for getting it is at Exploration in MoP - All Lore Objects and Achievements btw, i am rather disappointed by the way it behaves in not having any special mechanic as to keep the character level when going over bumps e.g. : (the whole disc and character inclines as opposed to the floating disc acting as a buffer and staying level) here's hoping ill be fixed eventually. It's also worth mentioning a very important detail i could not find about anywhere, while you can start on this at 85, you need to do about 20 or so quests until Eigenheiten des Landes (horde) after which you are able to interact with the shrines and get achievement credit, also of much importance turning in the quests (and flying to the npc) requires level 90 however. i heard it's 600g that's right? Any ideas if this mount will be account-wide? Do my alts need to be 600 in arch in order to mount it? Im SO gonna get this! The Lorewalkers will be the first faction I level up reputation with! This mount is indeed account bound. Just got exalted with my level 90 lock and I can ride it with my level 86 Shaman while I quest, its a ground mount too! Just a note the exalted doesn't show up on my shamans rep sheet and he does have arch but only at 525. This is perfect! I've been wanting a flying saucer for my alien (Draenei) paladin. :P AND since it's account-bound, my druid archaeologist can get the required Loremaster exalted. Score! Why should i do this and getting exalted? You can buy your own Disc of the Red Flying Cloud - Item - World of Warcraft . Where are the objects? Is there a route? 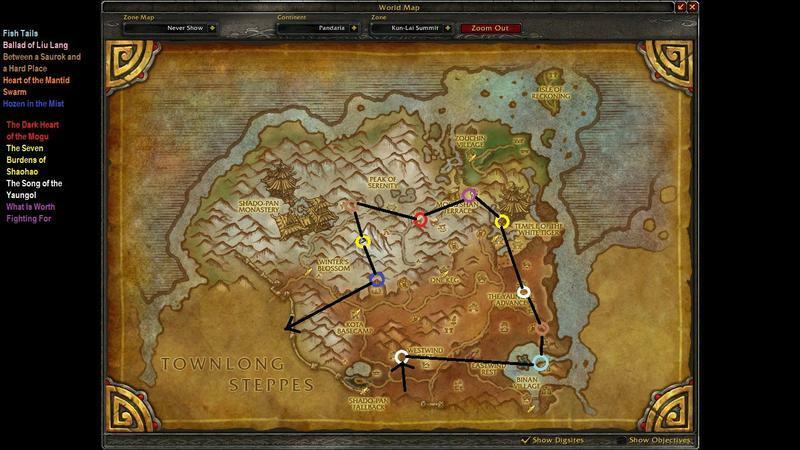 Can i see details from the Zones? Yes! I can´t find one, are there coordinates? I have collected all, but i´m not exalted? After reading all lore´s you have to go to your mailbox. You will get several items who start a quest. Turning in these quests will bring you the rest up to exalted. It's a quiet mount and small: the perfect alternative if you don't like those obnoxious drakes. It's account-wide and can be used in BGs. This is incredibly easy to get and looks amazing! Uses your race's idle stealth animation while mounted. This is based on the comment of Bulo above. I made his coordinates into TomTom waypoints for lazy people like me. 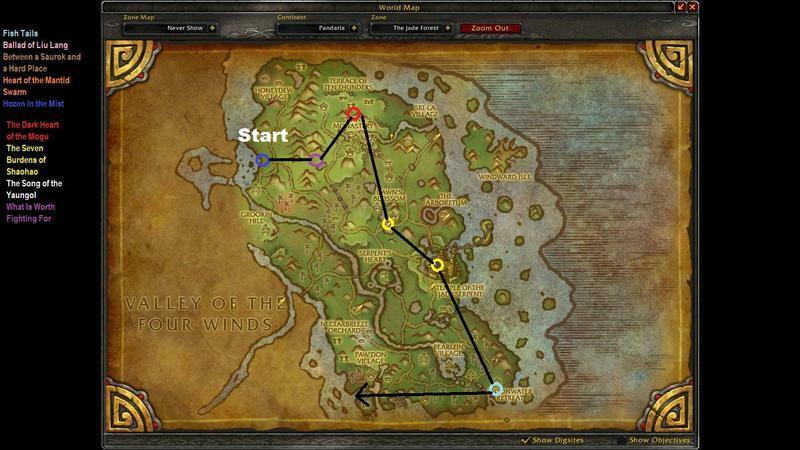 Install the addon, then copy these lines into the wow chat to create waypoints. If someone knows a way to automate this better than me, please comment. Props again to Bulo for his complete list. I followed this guide http://youtu.be/T5fS7LzWlOo and was able to get this done fairly quickly. I just hope more colors are available in the future. Modified for macro use with TomTom. Thank you to all those who posted before and did the work to find these. Be sure to use each macro while in its respective zone! I don't understand why the cloud is white and not red. Am I missing something ? One of many things I love about this mount is you can ride it with your weapon out. Press Z while holding a melee weapon, then mount up. Your weapon will still be out, unless it's a ranged weapon, in which case you'll need to do that with a melee weapon equipped, then swap to your ranged. I expect to see some awesome poses in the screenshots section using this. It takes almost as long to turn the quests in as it does to gather the items. Lorewalker Cho has a lot to say. One of the nicest mounts to ride in the game and so easy to get. Had to do aboyt 85% of the discoveries and did int in a little under 3 hours... (including the time I had to watch the long cutscenes between the turnins, which were great by they way). Anyone else wonder where the "red" is on this mount? Wouldn't it be cool if you had an option to make a rain for a short time to piss someone off? The only downside I've found with this mount is that you are unable to mount up while in water. Some mounts do allow you to take off from swimming on the surface, and I haven't found a way to determine which will, except through trial and error. You can ride over water while on this mount, too. As several folks have said, you complete the achievement by turning in scrolls to Cho. Each time you turn one in, he will tell you a story and a cinematic will begin. They take about 5 mintues each. Personally, I enjoyed them and in several cases you see the origins of two of the races in Pandaria - Yaungol and Jinyu. You can avoid the cinematic/story by logging out as soon as you turn in the quest. You'll be doing that 8 times, though. At this point (5.0.4) the story starts automatically with a bit of a delay once you've turned in the quest. Don't like the 5 minute story lines when you do the turn ins? Log out and back in! Why Red? Because it's not! I did the entire thing and I'm literally at 20,976 of 21,000 pts to Exalted. What can I do to get the last 24 pts? Anyone? I don't know whether any Teen Wolf fans have noticed this, but if you pay attention to the pattern on the inner circle of the disk. It looks exactly like Derek's tattoo that's on his back, the Triskelion. I am not sure if it has been mentioned, but you must be level 90 to turn the quests into Lorewalker Cho. I just helped a friend complete the achievements and he is level 88 and could not open the quests to turn them in. While running the new Shieldwall daily quests, I found my paladin quite drunk while fighting the mob of Off-Duty Loggers in the area. As this was my last quest to complete, once the last logger fell I mounted my trusty disc for the merry return flight to the Skyfire. The drunken surfing that ensued is worth recommending. Am i The only one that cant get What Is Worth Fighting For - Pandaren Fighting Tactics? I went to the coordinates and i can see what i need to click on but it does not have the blue luminance and wont let me click on it, any ideas as to why? Anyone know if this mount is 310%? I dont think this has been mentioned but once you acquire this mount on your main you can use it on your alt. This probably isnt news to most people BUT this mount may not be able to fly but it does hover on water, meaning you can fly across water like water walking. Because you cant fly till you hit 90 this ability saved me a tonne of time on my toons where i couldnt walk across water. The first thing that came to my mind when I saw someone mounted was this. 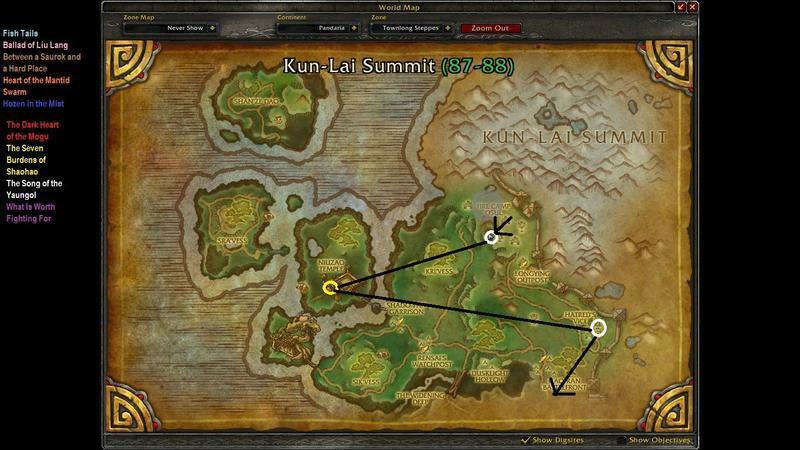 Just a note: I got 'Kun-Lai Summit' completely on foot. Mount 'Neverest' was a trip. Keep an eye out for the frozen climber on the side of the mountain. You can log out to skip the lore when you are turning in the quests you get in the mail for loremaster. Slight problem, Ive done all the achivements but am sitting at 20976/2100. What should I do? Just a thought, but I think the symbols on the disk represent the 8 directions, namely, North East, South, West, and then North-east, South-west, North-west, and South-east. It almost matches perfectly, and the expansion has quite a relation with the 4 directions to the god-like animals. Am i the only one who noticed the Avatar - airbender symbol in the center of the disc? Hunters: It is possible to ride this mount and have your weapon (gun or bow) in your hand. 1: Use the Equipment Manager and create 2 settings. One holding your gun or bow and one holding your fishing pole. 2: Put both settings on your action bars for easy access. 3: If you are mounted, get off your mount and equip your fishing pole. Make sure you're holding it in your hand (default is letter "z") then mount back onto your Scheibe der roten Flugwolke. 4: Now click the setting on your action bar(s) that equips your gun or bow. You should now be riding this sweet mount and holding your weapon. Note that any action such as accessing a mailbox or interacting with an NPC will undo the effect. I have all 10 of these discovery achv and am only honored... i also have the guild rep buff.... wtf? The Red Flying Cloud is a great mount for collection herbs and ore. It is compact. The problem I have had with other mounts is that they are so large it is hard to see the node I was going after... This 'flying hub cap' makes it easy to see what you are going after! As mentioned before, it does not allow you to mount underwater... and this is the only draw-back I have encountered with it. The greatest benefit of this mount, in my opinion, is one that seems sadly rare among flying mounts - it is almost completely silent. The only noise is a light 'woosh' or air on initial take-off or when making a hard turn - no beating wings, no cracking stone, no growling engines... just silence as you soar through the skies! Determining the height of the mount when trying to land on narrow objects (like awkwardly placed mining nodes) can be a little confusing. ...but this is not the case. The mount itself is represented by the cloud, which has a larger collision box than appears. The anchor is lower than the cloud by a fair margin (making angling up or down look a little rough-riding). You are merely standing on its swanky hat. Not sure if it has been pointed out yet but it seems to me that you cannot jump-mount on these things. You know where you time your jump right before your <insert other mount> appears to get that little headstart. Correct me if I'm wrong but so far, no success. No one saw this, and thought "Chuka Taisen"? 420G for those in a level 25 guild. Does anyone know if red is the only color discs? I don't know if this has been mentioned, or if it also applies to other factions mounts, but this can be used by all characters once it is purchased, regardless of faction rep. Interested to find out of this is true with other mounts since I would rather not grind rep with all factions on all characters if I don't have to. Anyone else that can confirm/deny with, say, a cloud serpent? I think this is one of the best mounts they've ever made, and it's super easy to get. I plan on using this for a long time! The best low-profile flying mount for farming. Am I the only person who hates the animations on these things? Might as well be flying on a rock. So I'm really the only one who thought of the Green Goblin? /way Kun-Lai Summit 53.02, 46.49 Entrance, down stairs near table. I think they should have made the entire disc itself glow red, or leave behind a red trail, kind of like Ashes of Al'ar. Maybe just make the whole cloud red. I always wondered why this only came in red? Just want mention that the 600g listed as the price for this item drops to 420g after reaching exalted status with the Lorewalkers. Don't know ....maybe I just got the 600g listing from an old posting but was pleasantly surprised by the reduced cost. 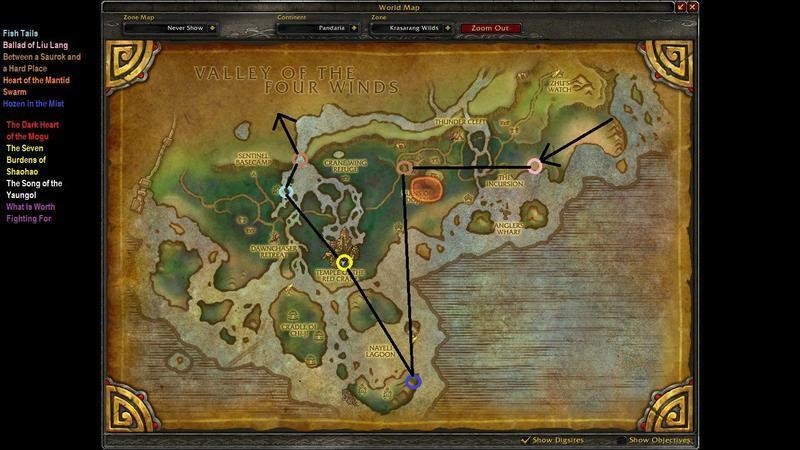 Another thing was that the postings i utilized to acheive exalted were pre WoD. I had already picked up the scroll from in front of the Seat of Knowledge prior to using these posts to reach exalted. Is it in the same location post WoD since the the Vale is in ruin? Was just wondering. I got my exalted reputation by selecting the star to the left of the The Lorewalkers on the Reputation tab. Got bonus rep by completing one heroic dungeon per day which I was doing anyway. Bought the mount without any problems, despite not getting any of the other achievements. Its cloud effect is now larger and more detailed. When the mount is summoned, the cloud does not spawn immediately but accumulates gradually like a real cloud would. Anyone else noticing the cloud is a square with 6.0.2? Didn't it used to have a trail effect prior to 6.0.2? Really sad, this used to be the mount I always use but not anymore. That cloud is ugly, big and depressing..
Dude. This is the coolest mount ever and super easy to get relatively. BY THE POWER OF GRAYSKULL..........I HAVE THE POWER! I love this flying mount so much. It is one of the truly unique flying mounts in this game. I've been working on Loremaster recently and I have to say this mount is just perfect for it: almost silent, very compact, no distraction. Definitely worth the grind with Lorewalkers. Can't believe they didn't added a blue flying disc from the Nexus in WotLK. Does anyone know if this thing works underwater in Legion ? / Can mount it underwater? As of patch 7.0.3, the animations have changed! The cloud isn't squared off anymore and a new animation is used while you are on the ground. Unfortunately the cloud trail that forms behind when you are flying is gone. This mount changes depending on your Riding skill and location - no it does not. Is this another silly joke from Blizz? The statues do not give me achievement when clicking. Everything else does, but not the statues... Why? BE SURE at revered rep to go to Tan Shin Tao near Lorewalker Choe (she's sitting next to the tiger) and purchase "Grand Commendation of the Lorewalkers" it will give +100% rep on the last 5 quest turn in's giving 6270 rep instead of 3135 pushing you well into Exalted. Benutzen: Lehrt Euch, wie man dieses Reittier beschwört. Dieses Reittier passt sich Eurer Reitfertigkeit und Eurem Aufenthaltsort an. "Dieses uralte Moguartefakt wird jenen verliehen, die sich der Entdeckung und Weitergabe der Geschichte der Pandaren verschrieben haben."